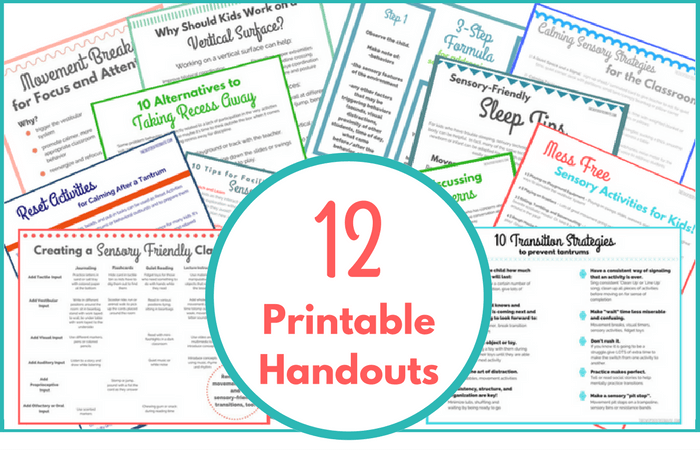 You want to share tips, strategies, and information with parents and teachers, but you never seem to have the printed resources you need, when you need them. Or maybe your schedule is so packed that there simply isn’t time to create your own informational resources. As child development specialists, we want to provide meaningful support to the families we work with and to the members of our team, and one of the best ways to do this is by using printable resources that can be read and re-read even when you’re not there. 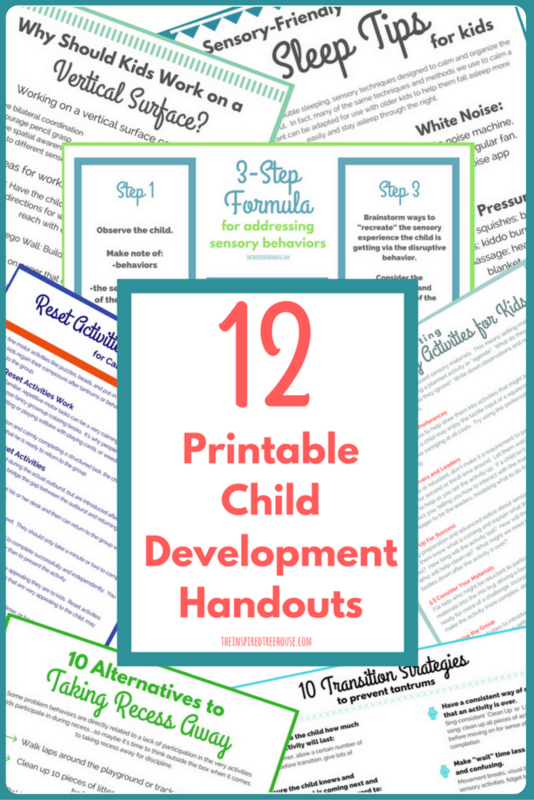 That’s why we created this awesome pack of 12 Child Development Handouts! Simply download your pack of printables, save them on your computer and print one off whenever you need it! It’s time to stop reinventing the wheel, wasting your precious time creating handouts and resources – we’ve done it all for you! Grab your printable pack today for only $12.99!